for just one architecture. Perhaps the packaging gurus can chime in. > the heart rate monitor. 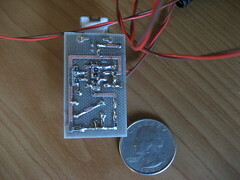 > measurements to the XO via the AC/DC sensor interface (audio jack). 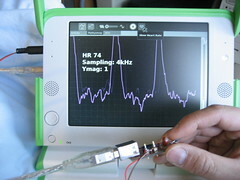 > able to display the heart rate (as shown in the pic). > definitely interested in feedback on our direction. > efforts with a wiki backbone to support health wellness. > Please send me your feedback and your interest!